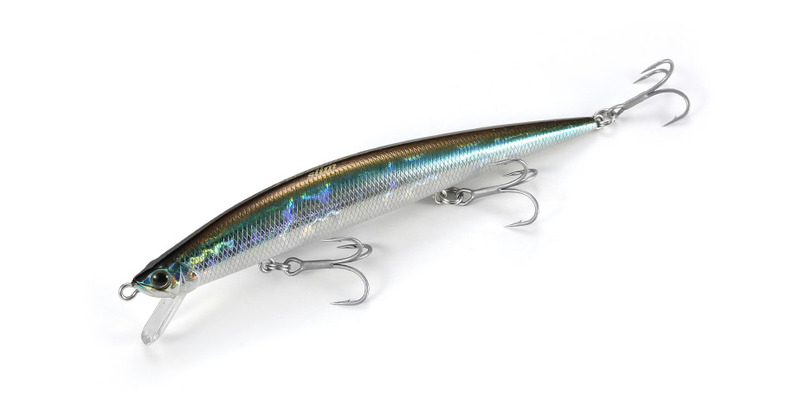 The Tide-Minnow slim 120 has broken the conceptual barrier of the ordinary slim minnows. It not only has a high swimming response in strong currents in estuaries and in strong waves, but also has outstanding casting capabilities which are useful in the surf game. 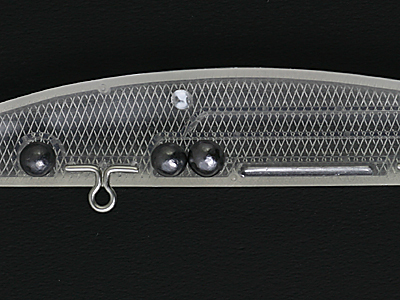 By giving the lure a deep, yet slim and flat body in addition to its thin lip, it stages a very tight rolling action. This gets even inactive fish to bite! Its flight, action, and silhouette have certainly accelerated the popularity of slim lures in the seabass game. We have installed a lead sphere as its moving weight, and have fixed another weight in its belly. This has realized its stable casting accuracy.